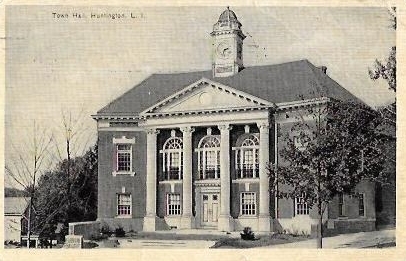 Town Hall, Huntington, Long Island, N.Y. Published by D. W. Trainer, Huntington, L.I. 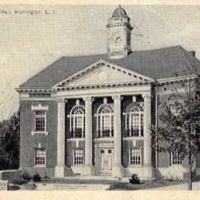 Published by D. W. Trainer, Huntington, L.I., “Town Hall, Huntington, Long Island, N.Y.,” Hofstra University Library Special Collections: Digital Collections, accessed April 25, 2019, https://omeka.hofstra.edu/items/show/2169.